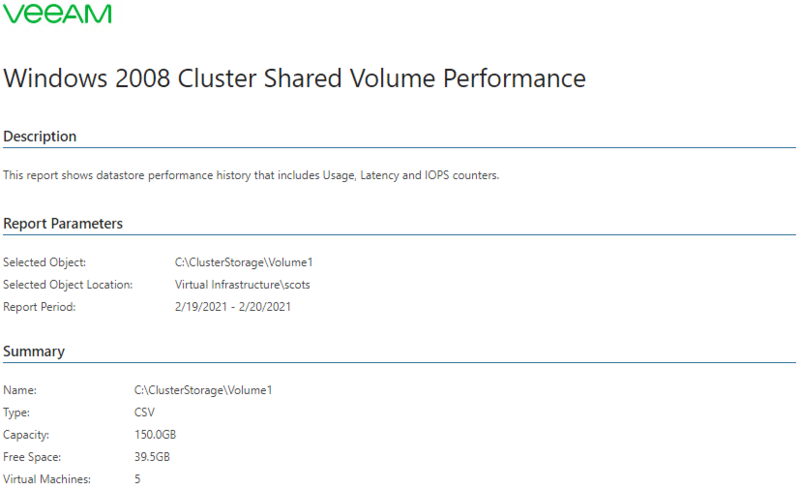 This report aggregates historical data and shows performance statistics for a selected Windows Server 2008 Cluster Shared Volume across a time range. 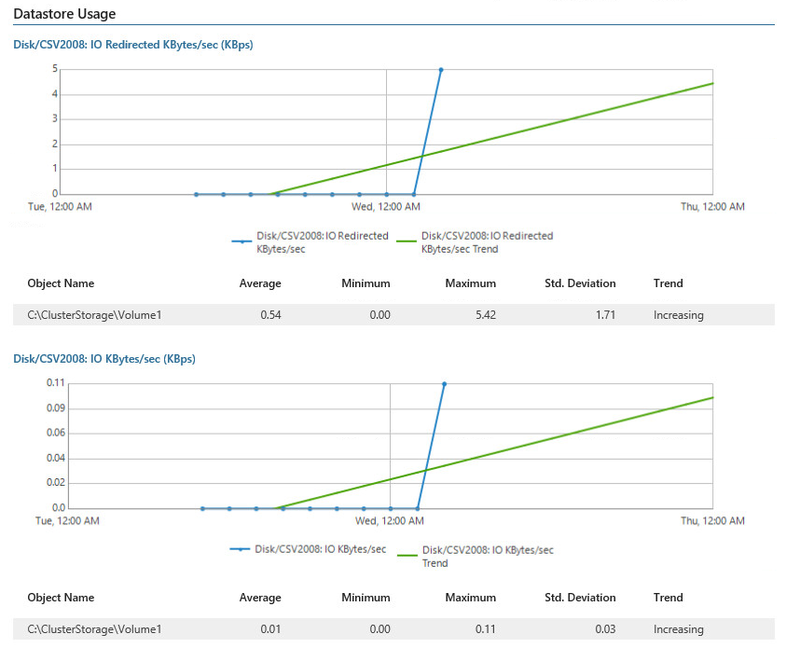 The report shows tables and performance charts with statistics on read/write rates and IOPS for the CSV. The report also lists top 3 resource consuming VMs and calculates resource usage trends for them. Click a VM name in the list of top 3 resource consuming VMs to drill down to performance charts with statistics on CPU, memory, disk and network usage for the VM. The report assesses latency and IOPS values to identify Windows Server 2008 Cluster Shared Volumes with performance issues. Object: defines the Windows Server 2008 CSV to analyze in the report. Interval/Start Date - End Date: defines the time period to analyze in the report. Note that the reporting period must include at least one data collection session for the selected CSV. Otherwise, the report will contain no data.